London is brimming with so many attractions and iconic landmarks that visitors will have plenty to keep them busy, which is one of the reasons why London is so consistently ranked in the top cities to visit in the world. Wander through Buckingham Palace, the official London residence of Queen Elizabeth II; admire breathtaking views of London from the city’s iconic Ferris wheel, the London Eye; visit the Tower of London and discover the grim history behind its walls; get to grips with Britain’s royal and political history on a tour of the 700-year-old Westminster Abbey. Heathrow Airport is consistently placed in the top 10 busiest airports in the world, serving more than 75 million passengers each year. On average, 1,400 flights arrive and depart through Heathrow a day; that’s one every 45 seconds. So, whether you’re a large group of friends or family travelling with lots of luggage, travelling on a business trip, or a couple on a romantic holiday, by pre-booking your airport transfer to or from London Heathrow Airport, you can have the reassurance and security that you’ll be picked up on time and taken straight to where you need to go. 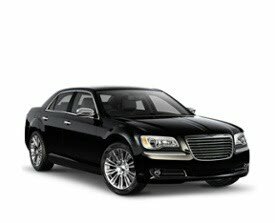 Book your round trip or one way reservation for peace of mind and a seamless journey to or from London Heathrow today. Located under 30 kilometres from London Heathrow is the official London residence of the UK’s sovereigns, Buckingham Palace. Look for the Royal Standard flying above the Palace, which means The Queen is home. Each Monday, Wednesday, Friday and Sunday, soldiers on active duty from the Foot Guards perform the ceremonious Changing the Guard outside Buckingham Palace. Shared shuttles from London Heathrow to Buckingham Palace start from just GBP£21 and private transfers start from GBP£47. The seat of the UK government is officially called the Palace of Westminster, but is more commonly known as the Houses of Parliament. This UNESCO World-Heritage site is also home to the famous Clock Tower (Big Ben is the name of the bell in the tower), and is located around 30 kilometres from London Heathrow Airport. Visitors can do guided tours of the famous building, watch a debate in the public galleries, or simply join others in taking pictures of the stunning gothic building; it is one of the most photographed buildings in the world. Shared shuttles from London Heathrow to the Palace of Westminster start from just GBP£21 and private transfers start from GBP£48. One of London’s most famous landmarks, the Tower of London (officially Her Majesty’s Royal Palace and Fortress of the Tower of London) is situated on the north bank of the River Thames and is just over 30 kilometres from Heathrow Airport. Founded in 1066 as part of the Norman Conquest of England, this historic castle houses the Crown Jewels as well as the Bloody Tower, the prison cell of Sir Walter Raleigh. Shared shuttles from London Heathrow to the Tower of London start from just GBP£27 and private transfers start from GBP£52. Located along London’s South Bank and about 30 kilometres from Heathrow Airport, London Dungeon is a popular tourist attraction that takes visitors on a journey through 1,000 years of London’s macabre history. The Dungeon uses a combination of special effects, actors, shows and rides to recreate many of the gory events that took place in the city’s past. Shared shuttles from Heathrow Airport to London Dungeon start from just GBP£21 and private transfers start from GBP£50. Renzo Piano’s 95-storey skyscraper, The Shard, is around 30 kilometres from London Heathrow. The famed building is the tallest in Britain at 310 metres, and the viewing deck provides unbeatable 360-degree views over London. Visitors can also soak up the city views with a drink at one of the restaurants or bars in the building. The Shard is located in the London Bridge area of London, on the south bank of the River Thames, with plenty of other popular attractions nearby. 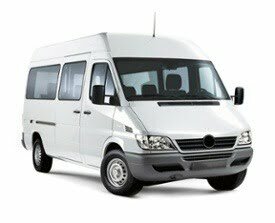 Shared shuttles from London Heathrow to the Shard start from just GBP£53 and private transfers start from GBP£52. Before you leave on your trip to London, ensure you book your airport transfer. Whether you’re after a shared shuttle or private car, there’s airport transportation to suit your travel needs, so all you have to do is sit back, relax and enjoy the ride.